This article was originally posted at The Climate Group. View the original post here. LONDON: Japan will soon have the world’s largest floating solar power plant, signalling increasing adoption of the efficient and innovative technology in Japan, which is due partly to lack of space on land. 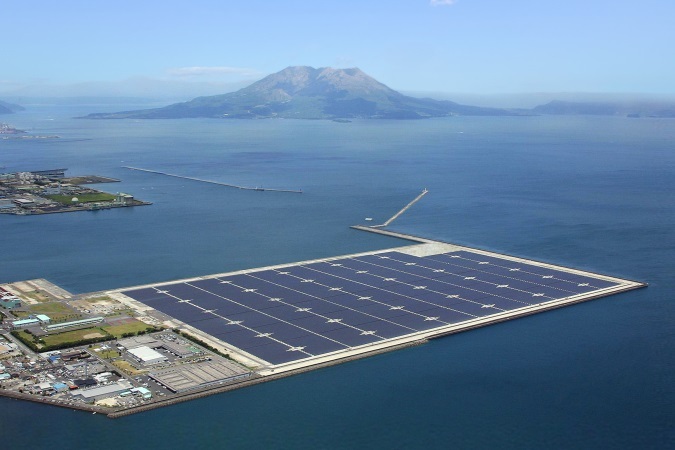 “The world’s largest floating solar power plant,” as announced by Kyocera and Ciel et Terre International, will have a total capacity of 1.7 megawatts (MW), and be installed on Lake Nishihira, in the region of Hyogo. A second park with a capacity of 1.2 MW will also be installed on Lake Higashihira, in Kato city, with the companies aiming to install floating solar plants with a total capacity of 60 MW by the end of March 2015. Solar photovoltaic (PV) technology is becoming more wide-spread in Japan, driven in part by the closure of the country’s fleet of nuclear plants following the Fukushima disaster. As the graph below shows, total capacity has moved from just 19 MW in 1992 to 13,532 MW in 2013 – more than double the previous year. This huge increase marked Japan as the world’s second biggest solar PV market in 2013, following China with 11.8 GW. By comparison, in the same year the US connected 4.8 GW to the grid from PV power plants. Japan also represents 10% of total global PV capacity, compared to China’s 13%. The upward trend, according to the European Photovoltaic Industry Association (EPIA), will continue at the same level or even slightly more this year too. Japan’s success in solar technology was also boosted by the implementation of new feed-in tariff policies, says EPIA. The Ministry of Economy, Trade and Industry estimates an increase in the amount of electricity through this system of 32 to 35 million kW. The Ministry is also committed to promoting technological development and the use of heat from renewable energy, aiming to make the ratio of renewables in primary energy supply 10% by 2020. However, with a landmass slightly smaller than California and a population density closer to India, this expansion in PV collides with the lack of space. Thankfully Japan is surrounded by sea and has many water reservoirs to cater for its seasonal variation in rainfall levels, so is experimenting more frequently with floating PV systems. Not only is floating solar more convenient, it is also more energy efficient. A recent study by Korea Water Resources Corporation (K-water) says the technology is more efficient because it has a lower temperature during the day when compared to overland PV modules. This is due to the reflection of light from the water surface, which keeps the PV modules cooler. The corporation states that compared to overland PV, the efficiency of the floating PV system is actually superior by 11% and more, as shown in the graph above. However, this study excludes data acquired when the system is moved by wind which has a significant effect on generation efficiency, so the report suggests the next step in developing this technology is to counter this challenge. Innovations in floating PV technology and increasing adoption in Japan offer clear evidence that barriers to clean technology can be overcome, when there is synergy with the policies of a government that is actively committed to finding clean, rational and affordable energy solution for its citizens.